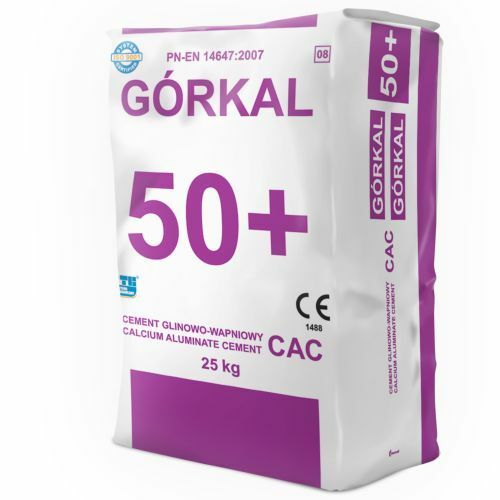 Thanks to its stable phase composition, GÓRKAL 50+has excellent mechanical properties, can be used in mortars and concretes in construction chemicals, and may be an insulating component of refractory compounds or other jointless materials. 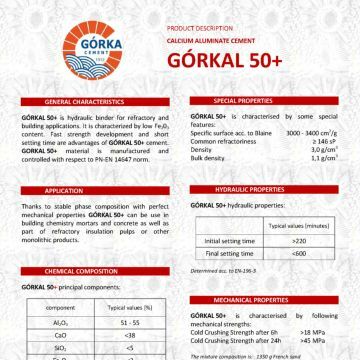 GÓRKA cement offers an attractive alternative to GÓRKAL 50+, well known to our customers GÓRKAL 50 with increased content of Fe2O3. 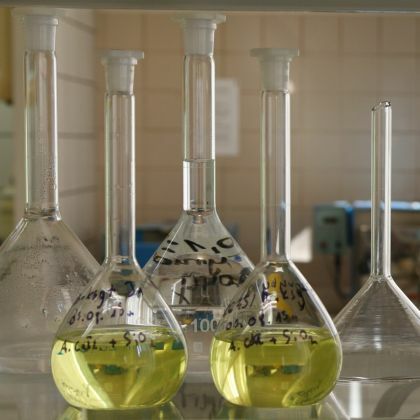 Used in mixtures offered by the manufacturers of construction chemicals (adhesives, concrete, etc. 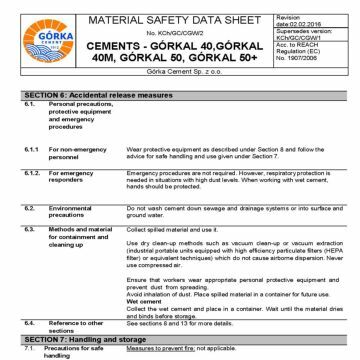 ), and as a component of refractory materials (including refractory concretes). 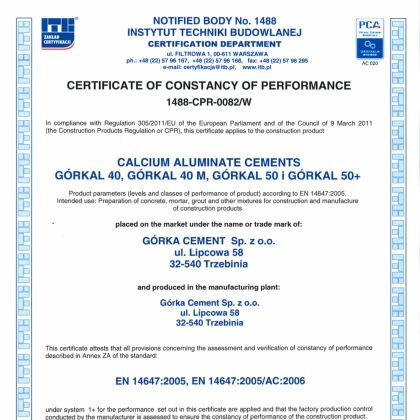 A component of refractory products.Hydraulic properties cause that it may also be a component of mixtures for construction chemicals (including self-levelling screed). A binding material for refractory products. 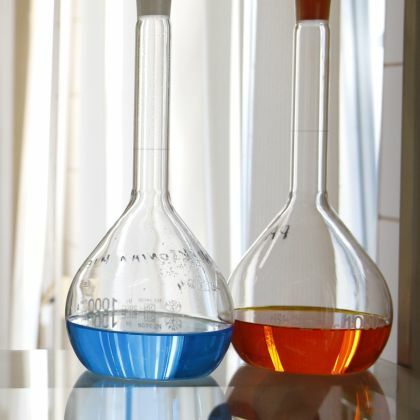 The white colour of the product means that it is also used in mixtures made by the manufacturers of construction chemicals. Due to the low water demand, this system is suitable for concreting using vibration and self-flowing methods.